Martyn Hilbert's Railway Photography - Branch Lines - 142011 Boundary Lane Rufford. 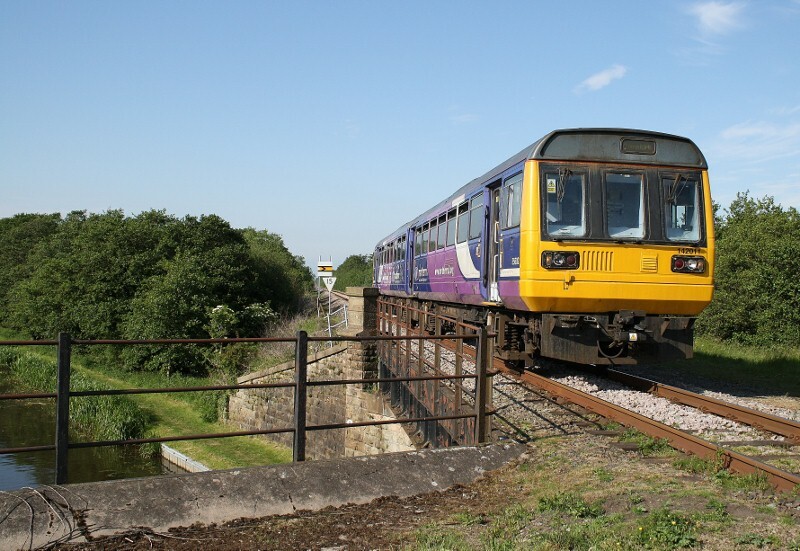 142011 runs across the bridge, adjacent to the occupation crossing at Boundary Lane, Rufford, with the 17.10 Preston to Ormskirk on Saturday 4th June 2011. The bridge spans the Tarleton branch of the Leeds & Liverpool Canal.